This Valentine’s Day, the American Academy of Periodontology (AAP) encourages men and women of all ages to love the gums you’re with. This health initiative spreads awareness for the holistic connection between the mouth and body—emphasizing the ways gum disease may significantly increase your risk of developing other serious illnesses. Oral hygiene. Not brushing and flossing twice daily? You might be letting food debris and oral bacteria build in the crevices and cracks between your teeth and gums. Irritation. Swollen and bloody gums are a telltale sign of infection. If you notice pain, discomfort, or blood (especially while eating or brushing), contact a dental professional immediately. Family history. Genetics play a role in your susceptibility to chronic disease. Take a moment to learn if gum disease and other health issues like cardiovascular disease, diabetes, and respiratory infections are prevalent in your family. Tobacco use. Both smoking and chewing tobacco introduces a wide range of carcinogens and other toxins into the oral cavity. Tobacco doesn’t only increase your risk of oral infections and cancers, however. Tobacco use has been shown to increase the risk of heart disease, stroke, and other serious illnesses, especially when smoked. Dental visits. 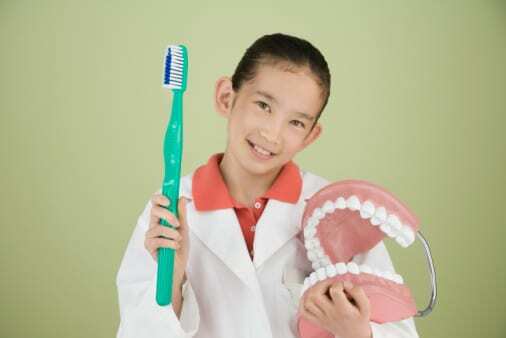 Have you had a dental check-up recently? AAP, the American Dental Association, and other health agencies recommend scheduling a dental check-up every 4 to 6 months. Not only will your teeth receive a fresh and thorough cleaning, but you will also gain the benefit of having a professional monitor your gums for signs of swelling and infection. In honor of AAP’s Love the Gums You’re With campaign, take a moment to review the following Miami Dentist Blog articles on gum health and holistic dentistry. You might be surprised at all the ways oral health is connected to total body wellness! Does Gum Disease Cause Heart Disease? There is a wealth of evidence suggesting that individuals with gum disease are at a higher risk of developing heart disease and suffering stroke. Visit this article to learn more about these studies, made available by AAP. Diabetes Patients at Higher Risk for Periodontal Disease, According to AAP. In addition to having a higher risk of heart disease, medical professionals now believe individuals with gum disease are also at high risk for developing diabetes—and vice versa. Visit this article to learn more. AAP Reports Gum Disease May Cause Respiratory Infection. Are you breathing harmful oral bacteria? Recent studies indicate that the daily inhalation of oral bacteria may play a role in the development of respiratory infections. Visit this article to learn more. Your gums will always play a role in your health. Take care of your gums today, and enjoy a lifetime of better health with lower risk of developing chronic disease and illness. At Assure A Smile, we help patients love and cherish the gums they’re with. From gum disease treatments like PerioProtect to advanced Ozone Therapy and CEREC Technology, our office has the latest and most advanced options designed to dramatically improve the health of your teeth and gums. Schedule an appointment online or call our friendly front desk at 305-274-0047 to learn how Dr. Herrmann and the Assure A Smile team can help you create the smile of your dreams! 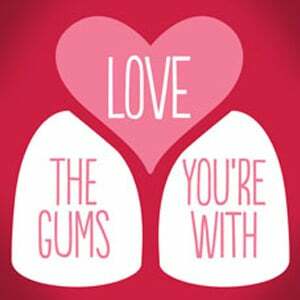 (i) Image: Love the Gums You’re With courtesy of the American Academy of Periodontology. Website: http://www.perio.org.